Nikibiki Double Fiber Thick Burnout Tank Top - Amazing fit and texture to this top. 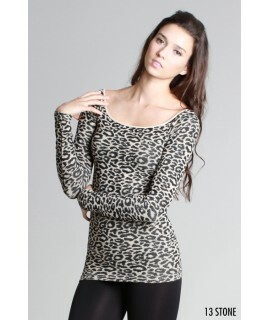 You will Instant..
Nikibiki Thick Cheetah Print Brocade 3/4 Sleeve Top. You will Instantly fall in love with this versa..
Nikibiki Thick Double Fiber Brocade Cheetah print Cap Sleeve Top - You will Instantly fall in love w..
Nikibiki Double Fiber Brocade Thick Leggings in Feather Print - All of our leggings are knitted with..
Nikibiki Double Fiber Thick Feather Print Tank Top - Amazing fit and texture to this top. You will I..
Nikibiki Double Fiber Thick Leggings in Houndstooth Print - All of our leggings are knitted with ela..
Nikibiki Plain Jersey Lace One Shoulder Top - Very flattering top with great length. You will Instan..
Nikibiki Double Fiber Brocade Thick Animal Print Camisole - Amazing fit, texture and length to this ..
Nikibiki Thick Leopard Print Brocade Ribbed 3/4 Sleeve Top. 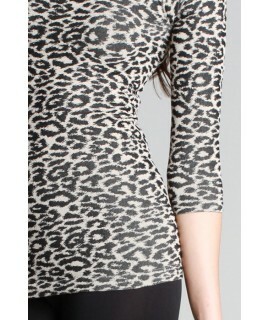 You will Instantly fall in love with thi..
Nikibiki Thick Leopard Print Ribbed Brocade Long Sleeve Top. You will Instantly fall in love with th..
Nikibiki Double Fiber Brocade Thick Leggings in Lizard Print - All of our leggings are knitted with ..
Nikibiki Double Fiber Brocade Thick Leggings in Maze Print - All of our leggings are knitted with el..
Nikibiki Melange Tank Top is one of the hottest seamless items we have. Endless reasons to wear this..
Nikibiki Double Fiber Thick Leggings with Side Lines - All of our leggings are knitted with elastic ..